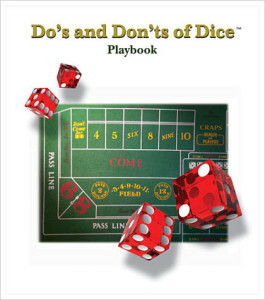 Here’s short war story from my early days of teaching the Do’s and Don’ts of Dice™. The timing was either my first or second presentation in the “City of Dreams”. I took a group of nine students out to the Golden Nugget so they could practice what they had learned that day. The dice were out. I glanced down to the shooter as he was picking up the dice. Looking him in the eyes, as he sighted down the layout, I saw the near future. Clunk, clunk, the dice landed in front of Bud. “Winner eight, it came hard,” was the call. Bud shouted “Oh my God”! He turned my way, he thanked me and said in his twenty years of playing dice, he’d never had so much fun. 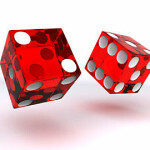 Luck has nothing to do with it, Playing 4 Keeps!